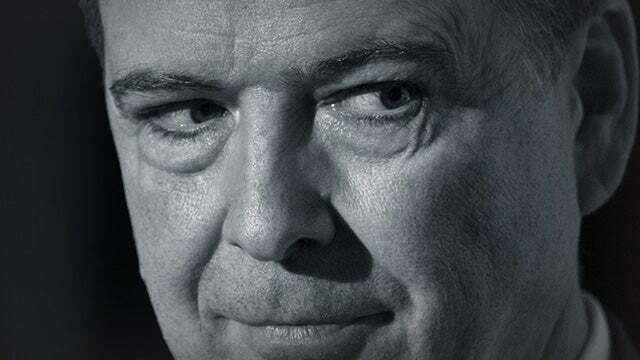 Now, Brennan and Clapper and Comey, they’re all out there… Well, Comey is saying it didn’t happen. Comey is saying it didn’t happen, it couldn’t happen, it wouldn’t happen, none of this is… Except Clapper is now admitting it. You know, I actually think — and I’ve thought this for a long time and I’ve said it. I think the Mueller investigation is actually the cover-up. It’s an attempt to cover up what these people did. You have to remember — and I know that you do. Look what Comey really knows about her. That little July 5th press conference where he detailed every violation of law? I’m telling you this guy is J. Edgar Jr. He’s keeping memos on his talks with Trump, and I guarantee you he had a file on Hillary. I can’t guarantee, but this is… I wouldn’t be surprised if he had a file on Hillary, and well-being what that file would contain. He knows what she did. He knows everything. I wouldn’t… She might have wanted to get rid of him, but I don’t think that she would have been able to. And Brennan, who knows what he wanted to do. But these people, regardless, with Hillary in the White House, they were gonna remain dominant. They were going to remain prominent. And then all that gets turned upside down when Hillary loses. And now everything they did… Do you realize what an admission…? Look at the difference in just the passage of time. It wasn’t that long ago that an administration using the FBI to harm political opponents, the New York Times would have been all over that president ’til they ran him out of office. But now look. 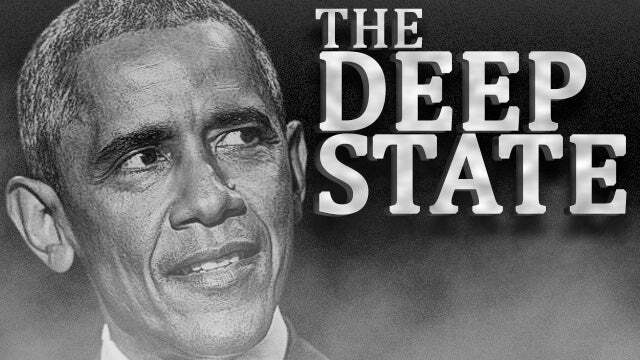 The New York Times is running interference for Obama and his team, which ran this operation against Trump. The media has officially gotten in bed with institutions they used to hold in great suspicion — FBI, intelligence community. The left and the media used to hate the CIA. Now they’re blood brothers. And all of it is to protect everybody who was in on this operation. And this operation had a lot of people in on it. You know, they want to now the difference between what is a spy and what is an informant. But for that New York Times story a couple of weeks ago to veritably come out and admit that there was a spy or informant? That’s damage control. That’s admitting something so that when the big news hits, the hoped-for reaction is, “Oh, that’s nothing new. The New York Times reported that months ago,” or weeks ago, whatever is the case. But they admitted! The spies and the people running the spies admitted to the New York Times what they were doing. So now, they have to change tack, and now they have to say that they were trying to protect Donald Trump. They were just trying to protect him! They weren’t spying on Trump. Oh, no! No, no, no, no, no! They were keeping an eye out for those devilish Russians. They were doing everything they could to protect Trump! If they really thought that the Russians were running those people, then why not warn Trump? You know, every excuse they’ve come up with can be ripped apart easily. “You’re really worried about the Russians? Then tell the campaign. You know, call a meeting with Trump and tell him you’re concerned about it.” Instead, they spy, because they were running the operation, not the Russians. They were running the operation, and they’ve had to pretty much come out and admit it now, because everybody outside the mainstream media has ferreted this out. So now, Comey and the others are admitting on TV that there was a spying operation, an informant going on. But it was just to protect Trump. Now, I’ll tell you how bad it’s getting. James Clapper in the past few days is actually saying now that the Russians swung as much as 80,000 votes to Trump. This is unknowable, folks. If that were true, we would be way beyond where we are now. If there were any hard, fast evidence of that… They’re just throwing it up against the wall and hoping it sticks. Now, I’ll tell you where this 80,000 number comes from. The left has done all their after-the-vote, after-the-election analysis. And they’ve tried to tell themselves that they really didn’t lose. “You know, it was razor edge. It was hairpiece thin.” They found some calculation that if just 80,000 votes in three states had gone the other way, then Hillary would have won. Well, that’s where Clapper gets. They’re now saying the Russians swung it, because it’s a continuation of the whole premise that there was collusion. (muttering Clapper) “I think the Russians are responsible for swinging 80,000 votes the election, yes. Yes, it’s true.” Wait a minute! I thought you said you were trying to protect Trump! Then how good was your surveillance job? If you guys are spying on Trump, if you’re looking for collusion, then how the hell did you not find it? You’re supposedly the best of the best. So somehow the Russians were able to swing 80,000 votes right under your nose, and you, Clapper — and Brennan and Comey and Strzok and Page — didn’t see it? How stupid do they think we are? (impression) “The Russians swung that election. Yes, uh, 80,000 votes.” Yeah, while you’re spying on the Trump campaign. Why didn’t you see that? No, I’m asking rhetorically you because it’s not possible. Even Michael Hayden… Michael Hayden is a former CIA director, and he’s called Clapper out on this — and Hayden, by the way, is a Never Trumper. Hayden despises Trump. But Clapper’s out there saying there was no doubt, no doubt that Russian meddling swung 80,000 votes or whatever. Hayden’s saying it’s unknowable. There’s simply no way to know this! He starts criticizing Clapper for making the claim. He said, “We should just stop talking about this. Donald Trump is the president! We can’t go back to 2016 and redo this!” And they’re stuck there. They’re trying to make themselves believe they can change this. They’re like a bunch of little kids, except they’re much more dangerous. Spoiled brats, didn’t get their way, really think if they keep harping on it that they can somehow change or reverse the outcome. Clapper, in fact, has admitted that he doesn’t have the skill sets to assess the impact of Russian activity on the election. He was on CNN one day, he was being interviewed, and this is months ago before this latest narrative came out, the Russians swung the votes. He was asked specifically if, as Director of National Intelligence, he could explain how the Russians did it! (imitating Clapper) “Oh, no, no, no. I’m in the intelligence community. We don’t have that particular kind of skill set to be able to determine how such things happen, no. We are only looking out for suspicious activity, but the wherewithal for those –” So he’s lying again, reversing himself, previous TV appearances. So who’s running this guy? There’s somebody telling these people to go out on TV and say what they’re saying. My vote is it’s Brennan, but there may be even somebody higher up the food chain. Well, Obama. I mean, none of this could have happened without Obama knowing about it. And you know, folks, you stop to think about something. All this business of Russian collusion, Trump here, Trump there. Who was it that was actually colluding with the Russians? It was Obama. Remember the open mic, he’s talking to Dmitry Medvedev, who’s at the time Putin’s number two, and it’s just before the 2012 election, and there’s an open mic somewhere they both are and Obama tells Medvedev to tell Vlad to just be patient, that Obama will have much more flexibility after the election. They’re talking about getting rid of American nuclear missiles and a Hillary Clinton reset. So Conan O’Brien asked Comey last night, “So what do you think of all this? Well, what the hell is Trump talking about?” Comey said, “It’s made up. I don’t know where he’s getting that from.” You know where he’s getting it from; he’s getting it from Clapper! They think Trump is off the rails. How is it Clapper and Brennan are running around, everybody, New York Times, Washington Post did everything but out the spy, admitting there were informants and spies in the U.K. trying to trip up Trump campaign officials. Clapper admits it with Joy Behar over on The View, even uses the word “spying.” (imitating Clapper) “I don’t particularly like it, but we were not spying. Of course not, not spying on Trump, we were looking for Russians.” BS, because if you’re looking for Russians you’d have had a spy in the Hillary campaign too. Anyway, Clapper admits it. Comey’s out there, “No, no, it’s all made up, it didn’t happen.” How do you figure that? I think these people, the Comeys, the Clappers, I think whoever has these Hillary emails — and somebody does — they must have some really potentially dangerous substance. I think these people are running scared, folks. I think they never thought they’d be here. Hillary was gonna win. And I think desperation is setting in. RUSH: Donald in Anchorage, Alaska. Great to have you with us on the program. What time is it in Anchor…? Let me guess. It’s 10:30 in the morning; is that right? RUSH: I knew that. I know my time zones! CALLER: (chuckles) Yeah, I love listening to you first thing in the morning. It’s great. You come on at 9 a.m. here, and it’s perfect. CALLER: I’d like to answer a question you asked earlier in the program concerning Clapper, the DOJ, and the FBI spying on Trump. 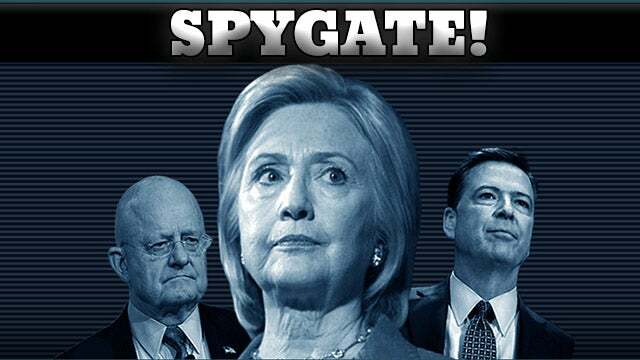 You asked the question, “Why didn’t they spy on the Hillary campaign?” Well, I submit to you that they didn’t have to spy on the Hillary campaign because they were the Hillary campaign. Furthermore, I think the average American is seeing behind the curtain, and that’s why we’re watching the polls inch up. 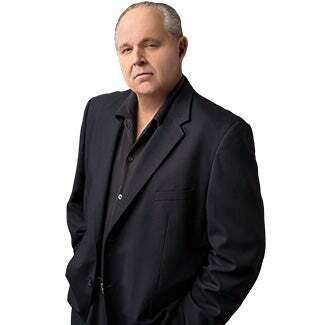 RUSH: You know you have an excellent point. I’m looking for something here that dovetails with this. Let me comment on your first point while I find it. It’s a story about a bunch of FBI people who would desperately love to testify before Congress about what’s really going on there, but they require subpoenas. They can’t just show up. If they were subpoenaed, then they would be covered and protected and so forth. Apparently, there’s a lot of FBI agents just outraged over what’s going on. They’re basically saying that the FBI has become a total political tool of the American left, that it’s really been — in fact, not just the FBI, the DOJ. Now, everybody knows this about the State Department. The State Department has long been the home field for the American left, where American foreign policy originates and emanates. There are career people in there that are there no matter who the president is. And they do their work no matter who the president is, whether they’re being loyal to a particular president or disloyal. And what these FBI agents are saying is the FBI has become the same thing, that it has become a veritable bastion. The DOJ. The FBI is an extension, but the DOJ has become pretty much a leftist enclave. So I think you’re right. The only reason I made the comment about, “Well, if they’re really worried about the Russians affecting the election, why not put a spy in the Hillary campaign to see if they’re trying to upset things there, too,” was simply a rhetorical device to illustrate the lie they’re telling. Clapper especially. 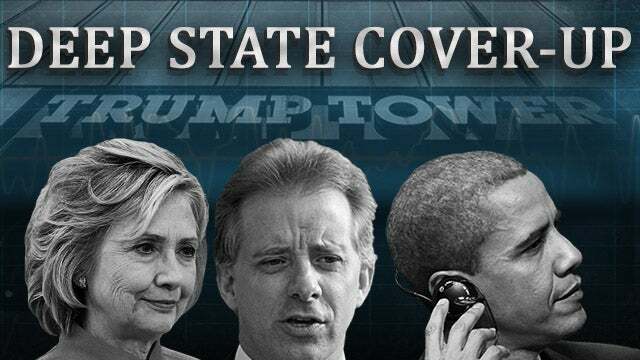 The lie is that they weren’t spying on Trump; they were trying to protect Trump! They knew the Russians were in there trying to maybe infiltrate the Trump campaign to steal the election. Well, why didn’t they warn Trump, then? And then the next question: If you’re really worried about the Russians tampering with the election, why not put a spy on the Hillary campaign, because the Russians theoretically would be everywhere. Your point is they didn’t need a spy anywhere because they were the Hillary campaign is right on the money! The way the FBI handled the Hillary email case, exonerating her even before she was interviewed? Folks, let me tell you something. In the Hillary email case, she was never gonna be charged. From the get-go Comey, McCabe, you name it, their objective was to make sure that she was never charged, that she was exonerated, and that there was never even a taint attached to her from the moment it began. And one of the reasons for that is self-preservation. They thought Hillary was gonna win. So they’re sucking up, trying to hold on to their jobs, maybe get better ones. Then Trump wins and then the focus becomes something else. But that email scandal? Everybody at the DOJ knew she was in tremendous violation, felonious violation of law, felonious violation of American statutes. And their objective from the get-go when it was all discovered was to exonerate her. So it wouldn’t be a stretch at all to say that Clapper, Comey, Brennan… They were part of the Hillary campaign because they were the Obama administration. The name to always remember, folks, in all of this is Obama. People who know how Washington works will tell you that this degree of domestic interference in a political campaign could not happen without authorization from the top. If you had a couple of rogue FBI agents or executives and they hated one of the candidates and wanted to infiltrate and do whatever they could to destroy him, without the president being aware of that, I don’t think they would take the risk. Getting caught without having that kind of backup, getting caught without having that kind of support, you wouldn’t risk it. So whenever we talk about the FBI or the DOJ and the infiltration of the Trump campaign, believe me, this is the Obama administration doing it — and in that sense, old Donald here is right on the money. That was the Hillary campaign. They were the Hillary campaign. No doubt about that. Run out the clock.